The boys and girls in Varese, Italy are giving only modest updates to the MV Agusta F4 for the 2013 model year, as the company’s four-cylinder superbike will sport an ABS package from Bosch. Featuring the dual-channel Bosch 9M+ anti-lock braking system with anti-rear wheel lift, the F4 will be able to handle better low-traction stops and wet surfaces. As the name suggests, the Bosch system also keeps the rear-wheel from lifting up during hard braking actions, which may throw a wench in your plans for epic stoppies, but it also will keep Italian dream machine in-check when diving deep into the braking zones. 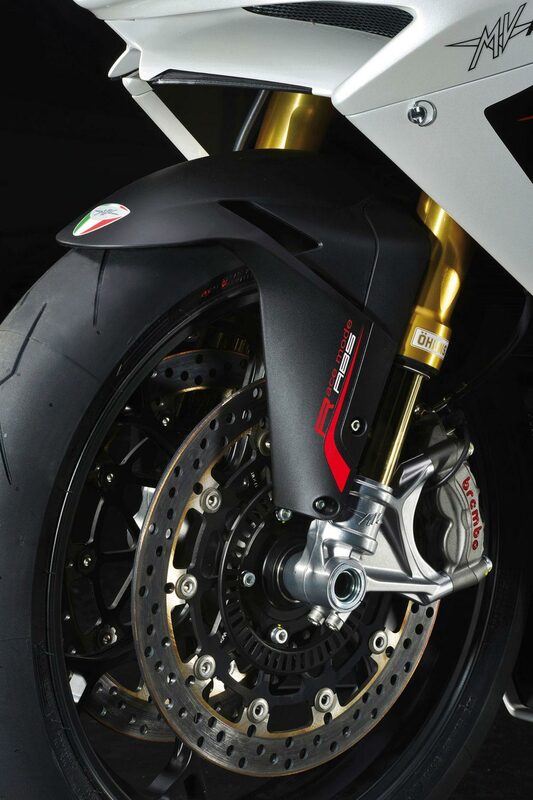 MV Agusta has programmed two modes into the ABS package: Normal and Race. In the “normal” mode, ABS kicks in freely and at all times, whereas in “race” mode, its thresholds are set much higher for racing conditions. Pretty straight-forward stuff, right? And yes for you Luddites, the Bosch 9M+ can also be switched completely off for those of you who have an extremely well-calibrated braking grip. The addition of ABS to the MV Agusta F4 completes the Italian company’s modernization of its superbike flagship, having already added traction control, electronically adjusted suspension, and a ride-by-wire throttle to the Italian superbike. So what are you waiting for? Go buy one already.